Mother's Day is rapidly approaching and whether you are a mother, have a mother or are a mother in the making, here are some gift ideas for Mother's Day. flowers - Mother's Day accounts for 1/4 of floral purchases made for holidays. rather than send your mother 'the usual' consider a spin on the flower bouquet. 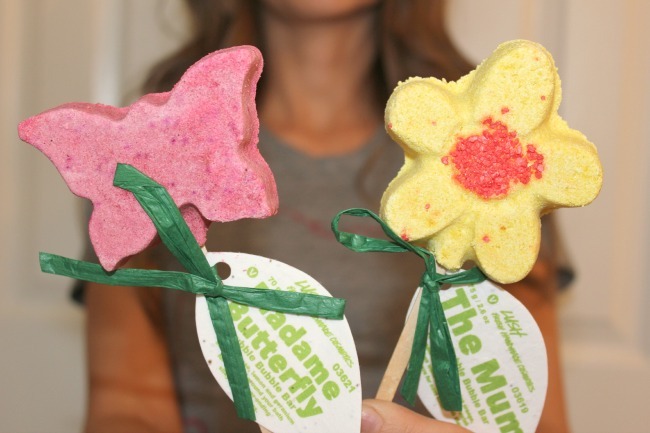 LUSH Cosmetics has wonderful Bubble Bar's (pictured above) that would be a welcome reprieve from the traditional flower. perhaps this might actually encourage your mother to take a minute to enjoy a warm bath. as a mother to three i can honestly say i can't remember the last time that happened. plus, sunflower seeds are embedded into the tags - simply plant and water. 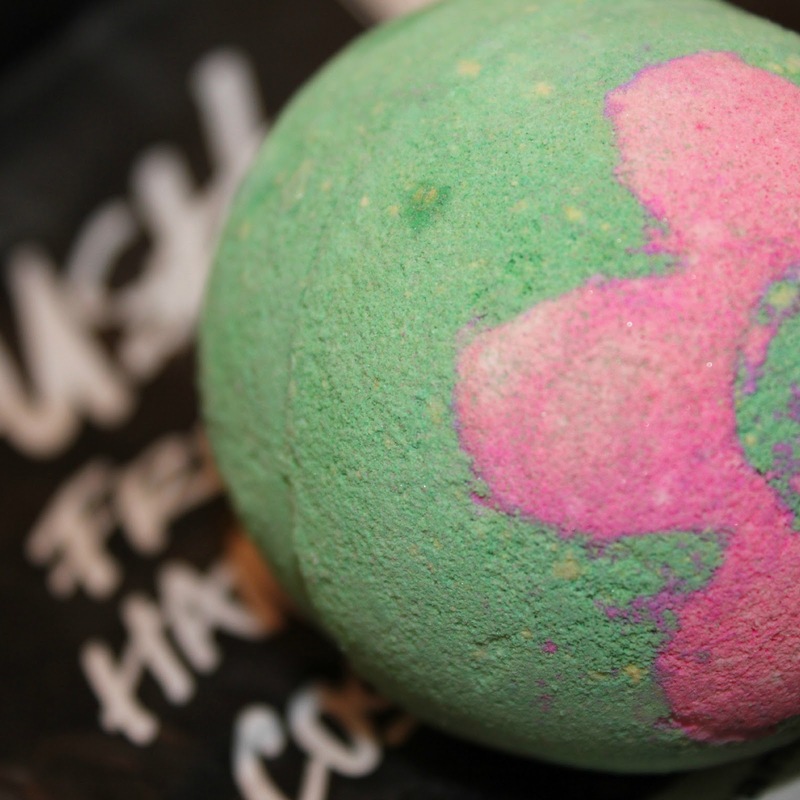 no LUSH reference would be complete without recommending one of these. pictured below is the Secret Garden, a wonderfully scented, deliciously delightful bath accoutrement. fragrance - skip the flowers and go for fragrance. i'll admit, i would much prefer fragrance over flowers because 1. i am pragmatic and 2. i am steadily becoming a fragrance addict. i love to wear perfume and my collection continues to increase although additions are always welcome! 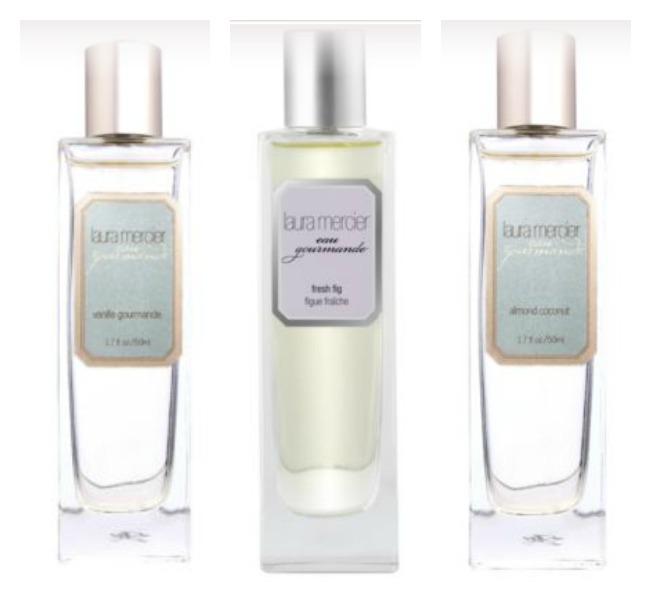 these perfumes by Laura Mercier are from the latest spring collection. the Fresh Fig Eau Gourmande is hauntingly lovely with hints of citrus and flowers. i spray it on myself, on my pillows, in my car and on my kids on my clothes. love. included in the Eau Gourmande collection is the Almond Coconut scent. one whiff and you are dreaming of virgin daiquiris, toothpick umbrellas and toes in the sand. yes, it is that transformative. want to give a gift that keeps on giving? give these. handbags - i believe in handbags. i love the above quote by Audrey Hepburn and i couldn't agree more. happy girls are the prettiest girls. kissing? yes, please. strength is worth its weight in gold and laughing is the best calorie burner. but handbags, they're the modern day diamond, a girl's best friend. 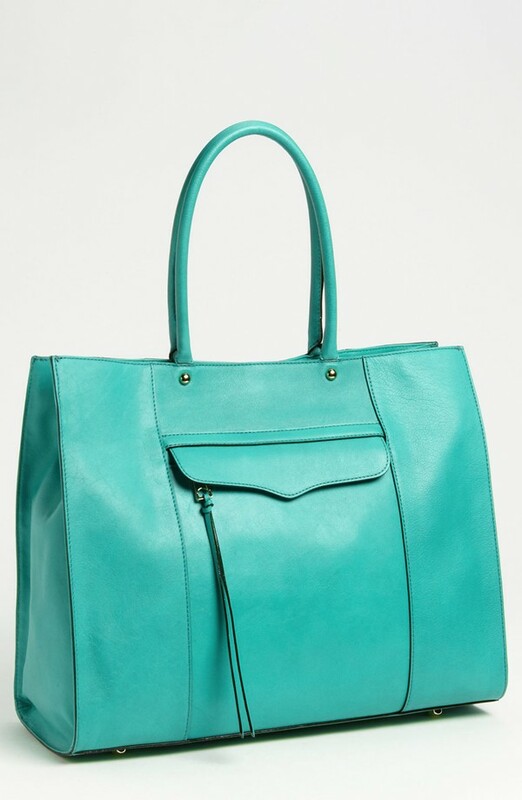 you cannot go wrong gifting a handbag to any woman, especially if it is a Rebecca Minkoff 'M.A.B.' Leather Tote. whatever gift you decide on, i hope your Mother's Day is full of love. you are beautiful, you are smart and you mean the world to someone.